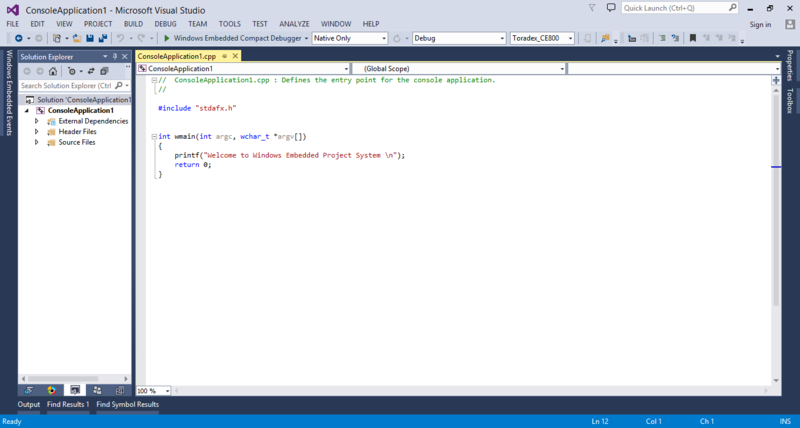 This article describes the setting up of the application development environment with VS2013 for Windows Embedded Compact 2013(WEC2013). WEC2013 development can only be done on VS2012/2013/2015. 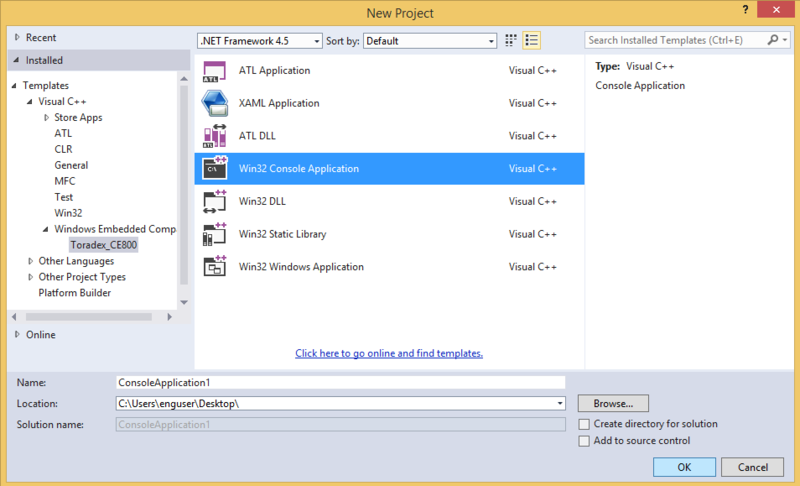 Application development for WEC2013 could be done with VS2012/2013/2015 and for this article, download and install Visual Studio 2013. Also, the Community Edition of Visual Studio 2013 will work too. As the Community Edition is free in many cases, you can check the (terms for details). 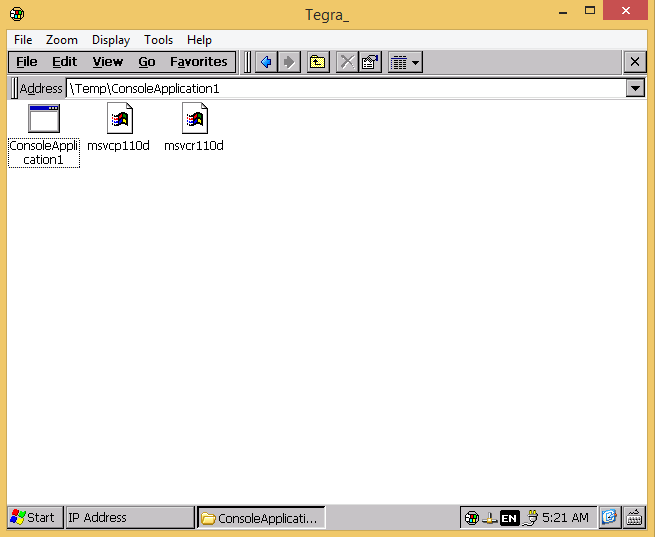 Note: On WEC2013 application debugging is done only via Ethernet connection. Note: WEC2013 is not available for the Colibri PXA Series, Colibri T20 (Nvidia Tegra 2), Apalis TK1(No support for Windows Embedded Compact). Download and install WEC2013 SDK from here. 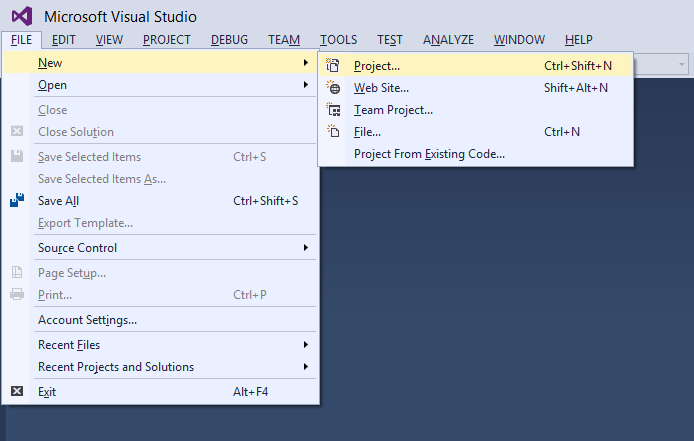 Creating new VC++ project on VS2013 is much easier. 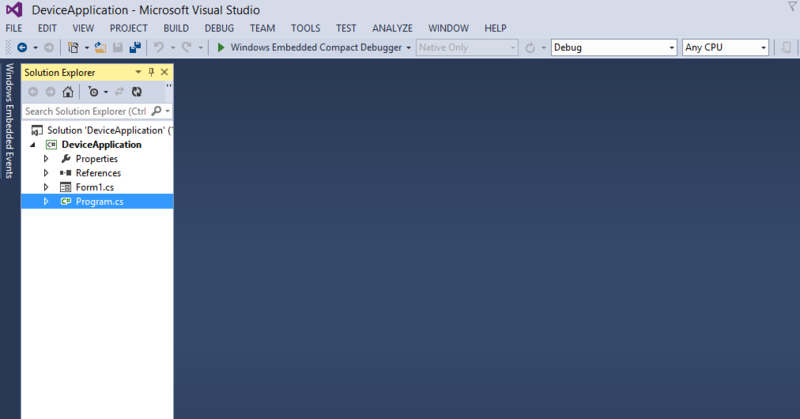 Make sure you have setup the development environment only then proceed further. 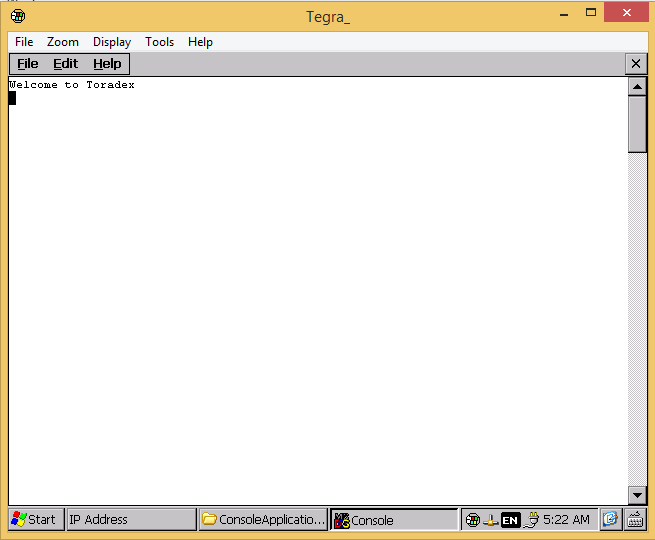 In the New Project pane, expand Templates node to Visual C++ >> Windows Embedded Compact >> Toradex_CE800 and select Win32 Console Application among the list of templates. New project on WEC2013 platform with SDK Toradex_CE800 will be created. After deploying, on the module, open My Device. 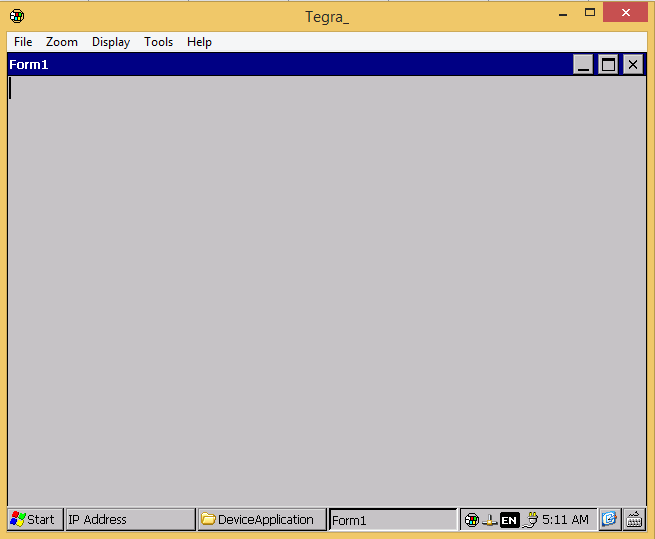 Open Temp folder and later the ConsoleApplication1 folder which contains a .exe file to run the application. Note: Debugging and deployment over an Ethernet only works if both module and computer are connected to the same network. 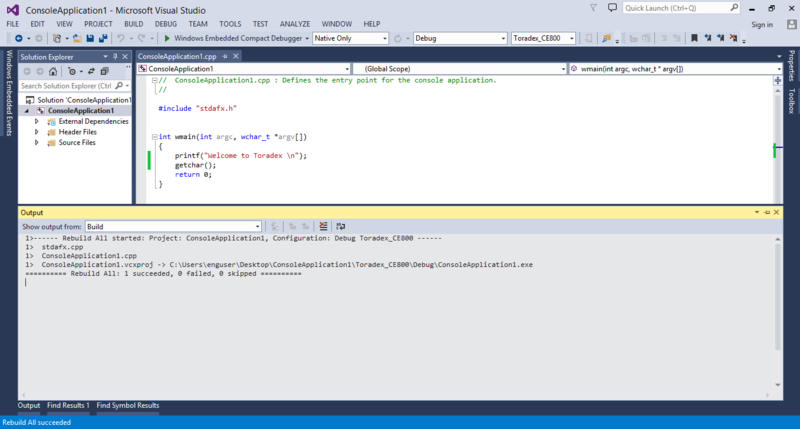 In the New Project pane, expand Templates node to Visual C# >> Windows Embedded Compact >> Toradex_CE800 and select Device Application among the list of templates. Now build the application. 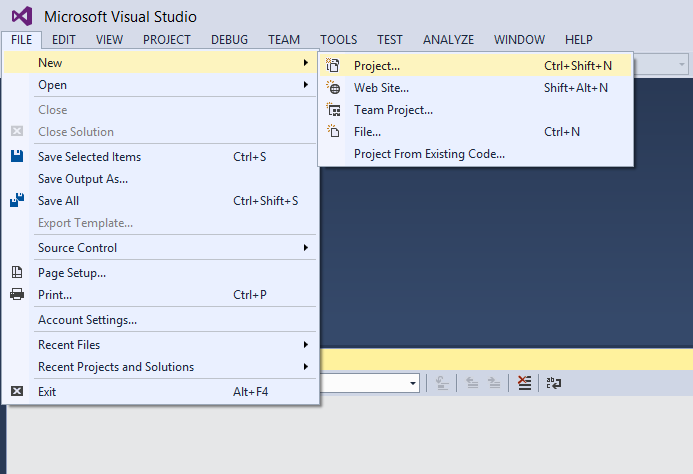 In the Solution Explorer, right click on project solution and select Build. In the Output window you should get the message for the Successful build. 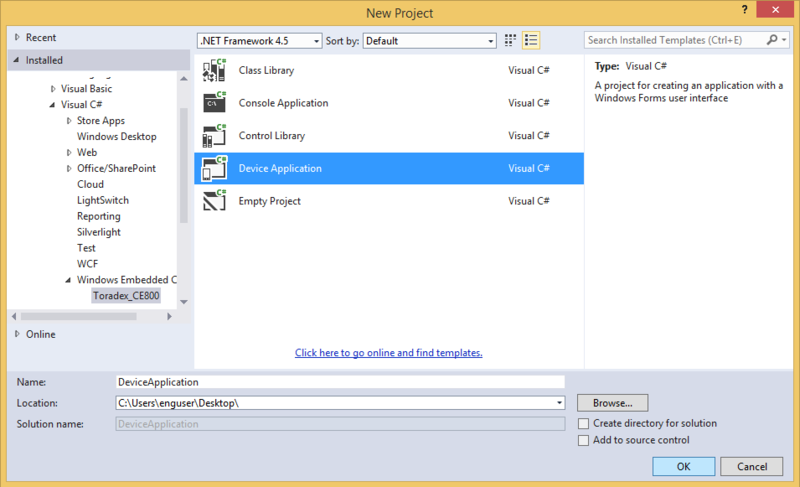 Note: Make sure you have installed correct .NET Compact Framework in the module. Note: Use an enough strong power supply, we recommend 12V@2A.